A large 0.96 inch OLED screen displays all your key vaping information including four separate battery bars, showing the current status of each individual battery. 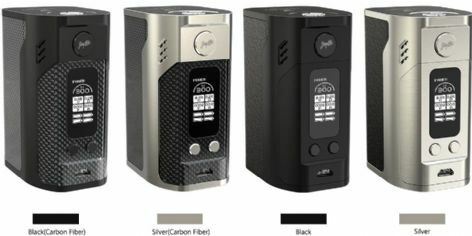 The unique battery cover design allows you to replace your batteries with ease, and various in-built protection systems make the Wismec RX300 safe and reliable. The device can also operate as a power bank thanks to the newly developed RC adaptor, allowing you to power other electronic accessories. Combine all of this with upgradeable firmware and the Wismec Reuleaux RX300 is quite simply a vapers’ dream.